See the April 9, 2008 New York City Department of Parks & Recreation Press Release. Read the September 11, 2006 View From the Bridge by Lisa Chamberlain in Metropolis Magazine and her August 10, 2005 A Roof Garden? It’s Much More Than That in the New York Times. Contact information for Balmori Associates, Inc.: 820 Greenwich Street, New York, NY 10014; Tel: 212.431.9191; www.balmori.com. Learn more about Emory Knoll Farms/Green Roof Plants in The Greenroof & Greenwall Directory. 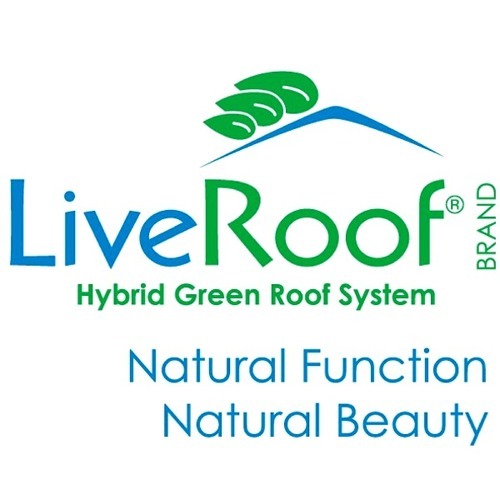 Covering over 35,000 square feet of rooftop with self-sustaining vegetation, “Producing Green at Silvercup Studios” is the largest green roof built to date in New York City (Sept, 2006) and the first to be scientifically monitored. This project grew from an initial research study conducted by Balmori Associates (a landscape and urban design firm) to determine the feasibility of creating a network of green roofs in New York City. Balmori Associates chose Long Island City, Queens, as the most promising site for green roof development because of the large number of low, flat-roofed buildings in this mixed industrial and residential neighborhood. Over 667 acres of unused rooftop space were identified as possible sites for vegetated roofs, a total area equivalent to Brooklyn’s Prospect Park. The first demonstration project of Balmori Associates’ proposal, entitled “Long Island (Green) City,” was created on top of Silvercup Studios, the largest independent full-service film and television production facility in the Northeast. A historic local landmark, the Silvercup rooftops are highly visible to thousands of commuters each day on the elevated train tracks and the on and off ramps to the Queensboro Bridge. The Silvercup Studios green roof was funded by Clean Air Communities, a non-profit agency working to develop strategies to reduce air pollution and increase energy efficiency in low-income areas of New York City, and by donations from the project partners including Silvercup Studios. The New York City Department of Parks & Recreation states, “The funding from Clean Air Communities and NYPA was part of the $2 million Queens Clean Air Project that began in 2005. The initiative, established in an agreement with Queens Borough President Marshall, included adding solar-powered trash compactors, pollution controls on sanitation trucks, the installation of a green roof on Silvercup Studios and electric ground support at LaGuardia Airport,” (NYC Parks Dept, 2008). The goal of this project was to begin to ameliorate some of the environmental and health problems that afflict this neighborhood, often referred to as “asthma alley.” This “fifth facade,” as Diana Balmori has termed empty urban rooftops, is a new frontier for designers and architects to change not only the way a building looks, but also how it functions as part of the larger municipal system. To allow for maximum flexibility for the client, Balmori Associates designed the green roof using a modular system. First a layer of AmerGreen50 was laid on top of the existing membrane for added drainage and protection for the roof during the installation process. Then over 1,500 GreenTech modules were placed on the rooftops and interlocked together to form a continuous planted surface. To lessen the weight load of each module, pre-cut Styrofoam blocks were placed in the deeper pockets of the modules. A filter fabric was then laid down and each module was filled with 3 inches of growing medium composed of 70% expanded shale by Solite and 30% organic material. The modules were prepared by the landscape contractor, Greener by Design, at an off-site location, trucked to Silvercup Studios, and then craned to the roofs. Once the field of modules was created, each module was planted according to the landscape design. H. Three-inch lightweight planting mix. Over 20 different sedum varieties were used on this roof. Balmori Associates organized the plant palette into linear strips and geometric blocks to maximize the contrast of the different hues of green, textures of the foliage, and bloom color and time. The planting pattern will also evolve over time as certain sedums take over where others are not thriving, creating a continuously changing horizontal “canvas,” Balmori Associates also added to long strips of brightly-colored outdoor fabric to their design running in the opposite direction as the lines of the plantings. Scientific data on the performance of this green roof will be gathered and analyzed by the Green Roof Infrastructure Study working with Earth Pledge. The scientists will study heat flux and storm water absorption on both the vegetated areas of the green roof and control areas.